Have a drink from our fully stocked bar. Our expert bartenders can serve a variety of cocktails to compliment your meal. Get 10% OFF on your first order through our website! Outdoor catering and party trays to go are available from Bukhara Grill. We serve vegan food! 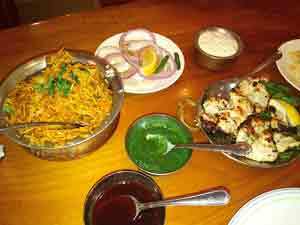 All food can be cooked mild, medium or hot. The prices on our website are the current applicable prices. 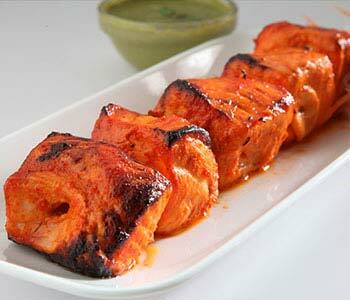 Cubes of salmon fillet marinated in yogurt and spices with a subtle flavor of ajwain, always a crowd pleaser! 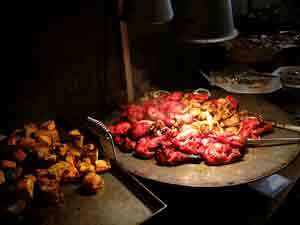 Boneless morsels of chicken marinated in spices, our version of chicken tikka, a new take on classic chicken tikka. Bukhara Grill brings to New York a fresh new dining experience featuring the flavors of the long-forgotten Northwest frontiers of India from their convenient location in the Turtle Bay Area of New York City. The restaurant provides a spacious and sophisticated interior with an old fashioned stonewall finish complete with Persian carpets elegantly draped from the ceilings, providing an elegant and unique dining experience for all our patrons. Our enchanting terrace and beautiful view from our walkup terrace is sure to make your dining experience a memorable one. Our passionate team of servers and chefs strive for perfection and want to bring you just that in your dining experience. Our delicious kababs fresh from the grill and packed with flavorful Indian spices are always a crowd pleaser. Bukhara grill offers rarified cuisine coupled with a complementing wine list and of course an unforgettable dining experience. 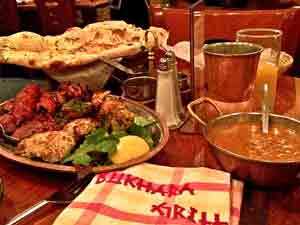 Bukhara Grill always emphasizes freshness and quality and we uphold our food to the highest standard. 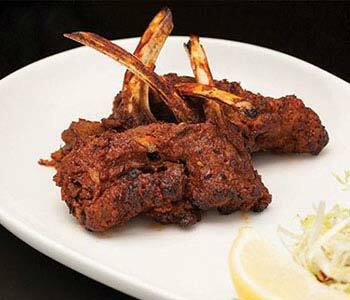 Master Chef Bachan Rawat elevates classic North Indian cuisine that is sure to satisfy. 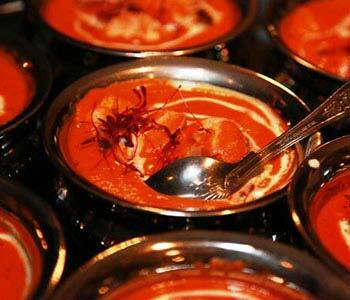 Whether it’s the Haryali Tikka or the Bhuna Goat, every item on the menu provides a unique taste of authentic Indian cuisine. 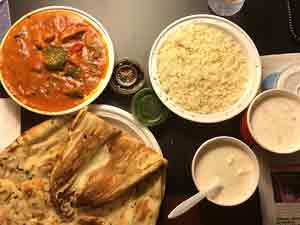 Bukhara Grill is sure to provide an elegant and unique dining experience.